Marvel Comics is bringing back the superhero Ms. Marvel. This time she's a modestly dressed teenage Muslim girl living in New Jersey. But this made me think of some of the Catholics who slip into spandex at night and fight crime. Daredevil - Daredevil is like weaponized spandex. He's a bit...complex. He's blind but somehow he knows how to fight crime. He's a public defender and a vigilante. He's a vigilante and he's Catholic. And he can afford expensive suits but seems to like wearing spandex more. There's a lot going on in this guy's life. His mom abandoned him in a Church and later became a nun. But don't worry she comes back sometimes and saves him. 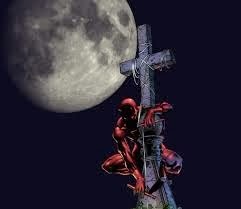 Frank Miller, who wrote Daredevil comics for a while, once said, "I figured Daredevil must be Catholic because only a Catholic could be both an attorney and a vigilante." Daredevil takes "Thou shall not kill" pretty seriously but takes advantage of the lack of rules in the Catholic Catechism that spell out "thou shall not seriously concuss criminals with a large stick and put them into intensive care until they heal enough to be transferred to a maximum security prison where they can escape and cause further mayhem." 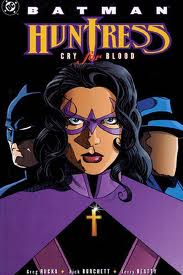 Huntress - Her real name is Helena Rosa Bertinelli. With a name like that how could she be anything but Catholic, right? She wears a cross pretty prominently. She does tend to leave a pretty substantial body count behind however but nothing a little confession couldn't take care of. She's like Batman with less clothes and only half the morals. Even Batman thinks she's a little rough on criminals. Do you know how nasty you have to be to make Batman consider telling on you? And like I said, she also dresses a little inappropriately. OK. More than a little. Wonder Woman would be like, "Girl, what are you wearing?" Night Crawler -Sure he looks kind of demon-y (demon-esque?) but that's only because his father may have been...well...a demon. So there's that. But hey, he's inked up with all sorts of Christian tattoos and that stuff doesn't just rub away. That's a commitment. And he's been known to pray for his fellow X-Men. He speaks pretty openly about his faith which would be a great evangelistic tool if people weren't horrified at his visage. Gambit - Gambit is Catholic. He's not always...shall we say...a letter to the law type though. He gambles quite a bit. His superpower seems to consist of being able to throw exploding playing cards at people. And then hitting you with a large stick. He doesn't even really have enough superpowers to warrant wearing a mask. It's pretty rare that someone says, "If only we had Gambit here." It's more like, "Hey Gambit's here too. So after we defeat these bad guys maybe we'll play some cards." 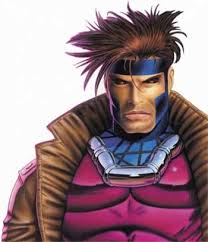 But Gambit did once steal the "Cross of Redemption" from a bunch of mobsters and returned it to the Vatican. That's some major points right there, right? 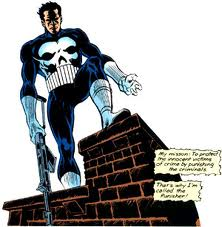 The Punisher - If Francis Castiglione were punishing himself as a way of atoning for his own sins that would be one thing. However, Francis Castiglione doles out punishment to others like it's his job. And it kinda' is because he's The Punisher. As a youngster, he was studying to be a priest but gave it up because he found it too difficult to forgive those who did evil. And that's not a great trait for a priest unless you want penance to be headlocks and broken kneecaps. It is however an excellent qualification for being "The Punisher." So you see, we all have to find our niche. 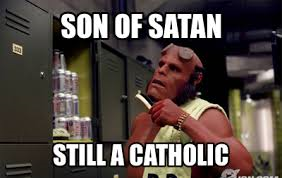 Hellboy - Going big with nurture over nature, Marvel created this storyline where a baby demon was abandoned as an infant in a Church and raised by a devout Catholic. So the baby demon grows up to be a rosary-carrying trancoat wearing horn shaving demon who carries a rosary with him in the same pocket as his grenades. In an interesting way if you think about it, Hellboy is castigated and dismissed by the same world he is struggling to save. That's a pretty Catholic theme, right there. 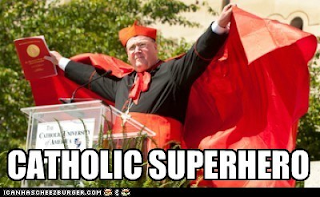 I guess it's not really a surprise that Catholics are cool with superheroes. 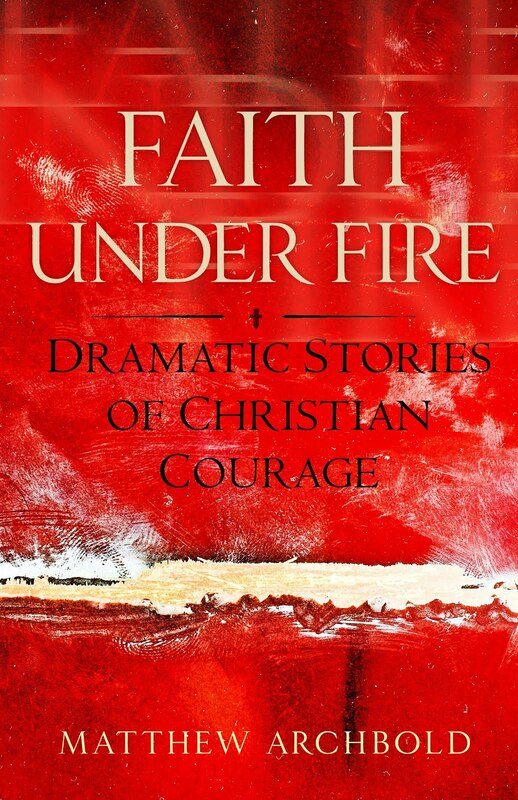 We believe each and every one of us is capable of heroism. And check out this pic. Hey, he may not have the washboard abs but he's got a wonderful smile, a friendly temperament, and an awesome cape. Hellboy's not Marvel, he's the personal creation of Mike Mignola and his comics are published by Dark Horse. Also, what about DC? They got more 'n their share of Catholics—like Blue Devil, who attends weekly Mass despite holy ground making him give off smoke.